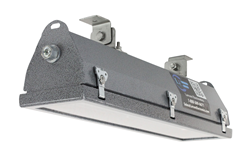 Larson Electronics, a leading supplier of explosion proof and industrial grade lighting equipment, announced the release of a two foot linear explosion proof LED light fixture configured to operate only when power outages occur. This fixture is designed to only power on when the main electrical power is severed and will not operate under normal conditions. The HAL-EMG-24-2L-LED-BMSW-113 emergency LED light fixture from Larson Electronics is a two foot, two lamp, UL listed Class 1 Division 2 Groups A, B, C, and D hazardous area LED light that offers reliability and efficiency with high output LEDs. This fixture is constructed of copper-free aluminum alloy and powder coated for corrosion resistance. The fixture is T4A temperature rated and comes standard with our high power 14 watt LED lamps producing 1,750 lumens of light. The lamps are protected by a powder coated aluminum frame and a shatter and heat resistant clear acrylic lens secured with six zinc coated steel draw latches. The lamp reflector is corrosion resistant heavy gauge aluminum and coated with a high gloss reflective finish. The solid state design of light emitting diodes provides a more reliable, stable, and energy efficient light source over traditional fluorescent lighting. 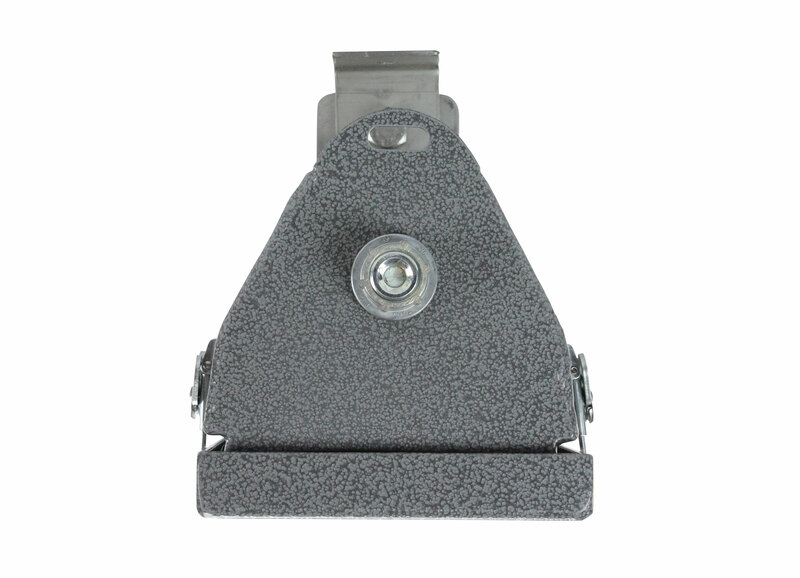 This fixture can be configured to run on 120 to 277 volts AC as well as 12/24 volts DC and is U.L. 595 and U.L. 1598A Marine Type approved for use in marine environments. 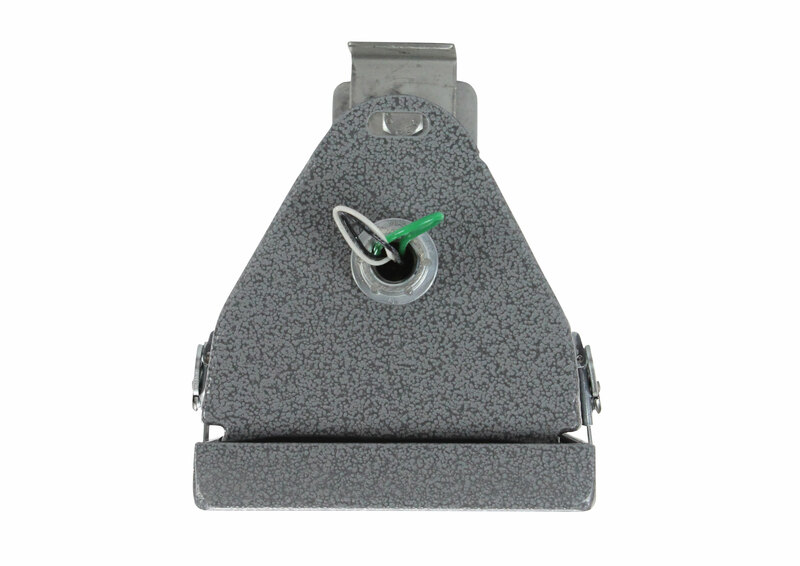 This fixture is equipped with back mounted swivel brackets allowing the operator to attach this fixture to any flat surface. An integrated emergency ballast allows the unit to operate two LED lamps for 90 minutes once the main electrical power is severed. Once standard electrical power is restored, the emergency battery packs power is replenished. 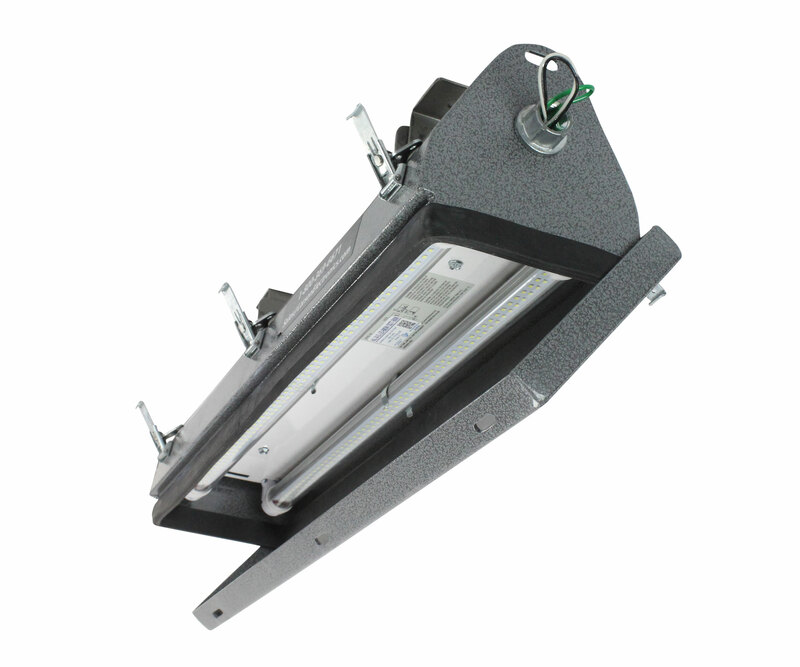 This fixture is designed to only power on when the main electrical power is severed and will not operate under normal conditions. The HAL-EMG-24-2L-LED-BMSW-113 is weatherproof and provides operators in hazardous locations with a highly efficient, reliable and affordable lighting solution for open areas where flammable chemicals and vapors may occasionally be present. Larson Electronics carries an extensive line of LED lights, LED work lights, light towers, portable work lights, explosion proof lights for hazardous locations and portable power distribution systems. You can view Larson Electronics’ entire line of lighting by visiting them on the web at Larsonelectronics.com. You can also learn more by calling 1-800-369-6671 or 1-214-616-6180 for international inquiries.